Entryways get a bad rap sometimes. They’re the first place in the house to suffer dirt and other substances from the outdoors, and what’s more, your poor entryway may become overloaded with coats, shoes, bags, keys, wallets, and other important items as tired homeowners walk in the door after a long day. Not to worry, though, because More Space Place of Jacksonville is here to provide readers with the closet storage tips you need for entryway organization and storage, making waltzing into your home a pleasure after a day’s work. A simple way to achieve the entryway storage closet setup is by using More Space Place’s custom shelving system. Specifically, closets work really well for families who need their belongings separated for convenient storage and access in the entryway. We recommend a few small shelving spaces for purses, keys, and other small items, and larger ones for coats. Stowing and accessing your belongings as you enter/exit has never been so easy. 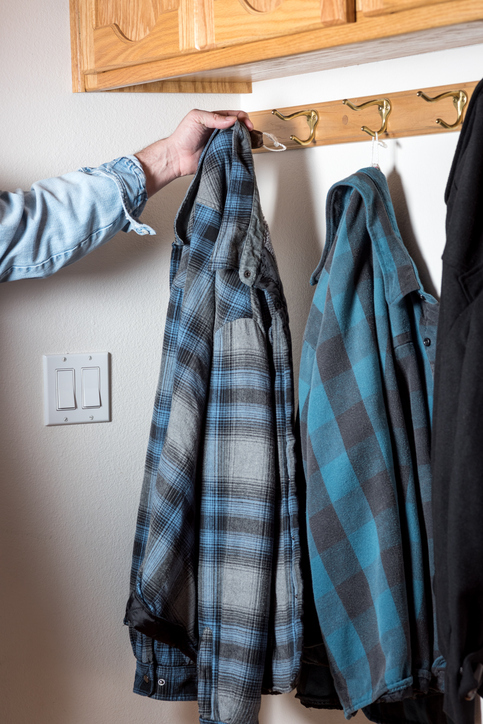 Alternatively, store coats, purses, and other hanging essentials with entryway closet hooks mounted inside the closet door. 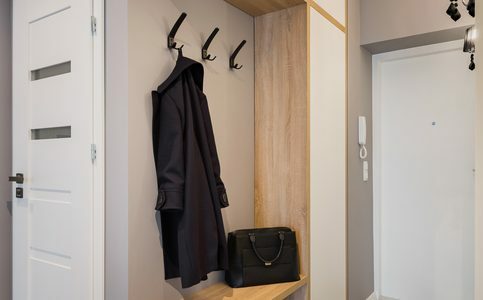 More Space Places installs a variety of useful rods, and with one upper rod for longer coats, your bottom entryway closet rod can be used for shorter articles and similar small hanging goods. At the very bottom of your entryway closet, try a cubby shelving system for shoe storage. Some homeowners enjoy tray-style cubbies or shelves in which to place their shoes, filling the trays with decorative stones or similar little objects on which to rest their shoes. 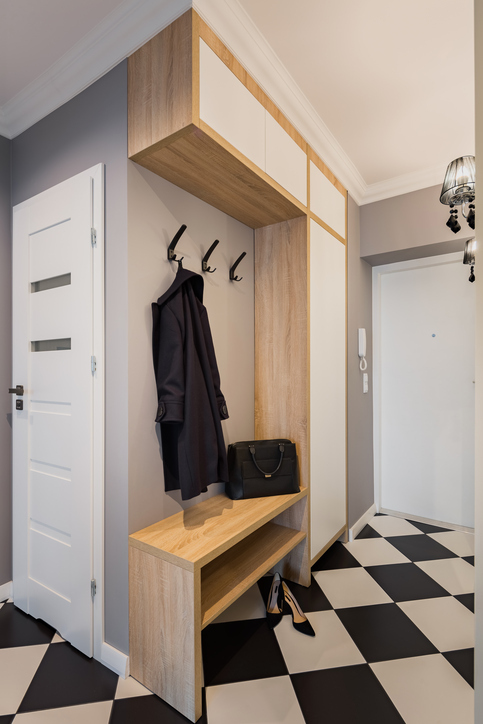 However you choose to do it, be sure your entryway closet has a shelving answer to the shoe storage question, or you may end up searching for your shoes more often than you’d like! At More Space Place of Jacksonville, we pride ourselves on finding storage solutions for complex collections. Whether it’s your entryway that needs organizing, your bedroom, or your pantry, we offer free in-home consultations to get you started on the road to comfortable, customized personal space in your home. Contact us today!